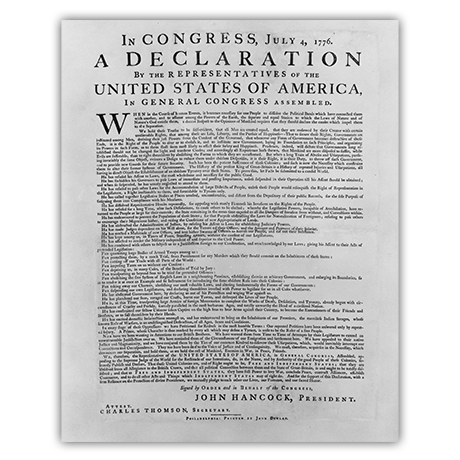 Declaration of Independence, 1776, "The Dunlap Broadside"
As part of RR Donnelley & Sons Company early in our history, our predecessors at the Extra Bindery had the unique opportunity to conserve one of 25 existing original broadside prints of the Declaration of Independence. 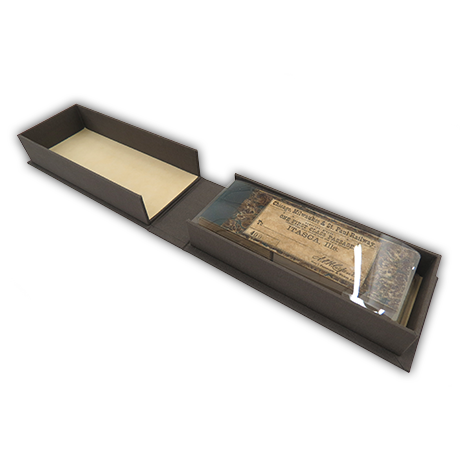 To treat this priceless item, the Extra Bindery removed the document’s lining and reduced the stains on its surface. 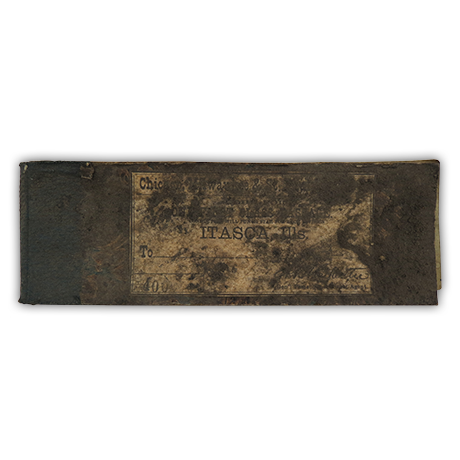 The paper was also deacidified and strengthened as part of its treatment. 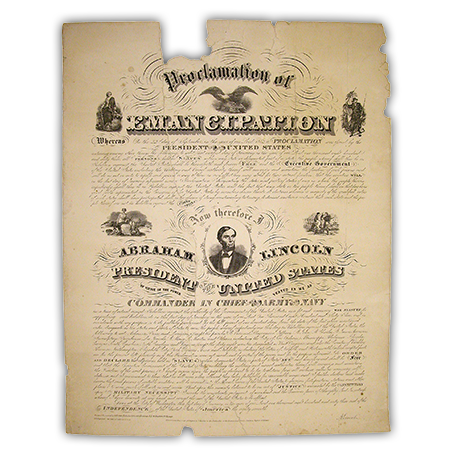 During this time, the Extra Bindery additionally worked on rare original prints of the Articles of Confederation and the U. S. Constitution. 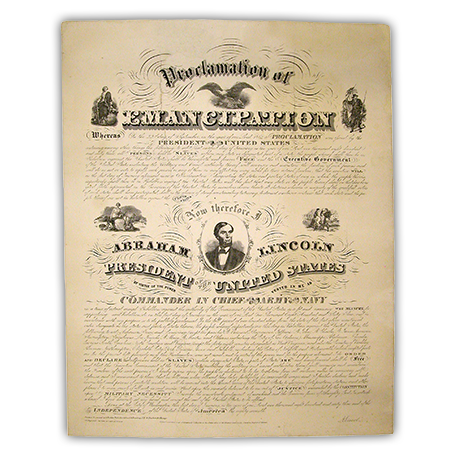 Our conservators restored this broadside copy of the Emancipation Proclamation with great care. 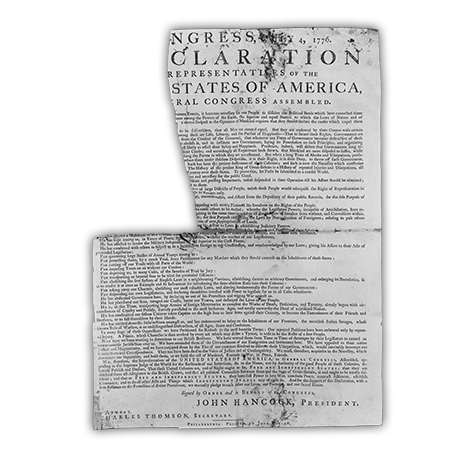 In addition to containing numerous tears and paper losses, the document was soiled by accretions of dirt and grime. Our conservators addressed these issues by gently cleaning the document and repairing it with liquid paper pulp. This booklet arrived in our lab extremely dirty and sooty, with part of its back cover broken off. 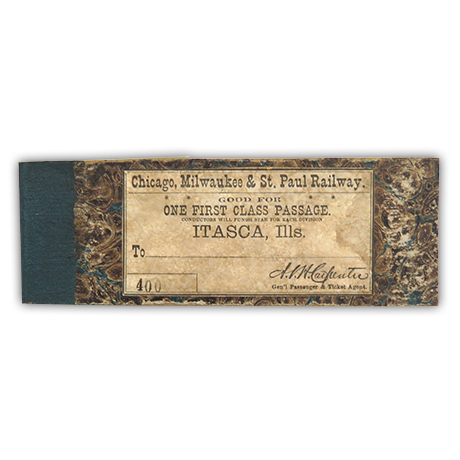 Our conservators cleaned the booklet and the ticket stubs inside, as well as filled the losses in the back cover with antique board and paper. 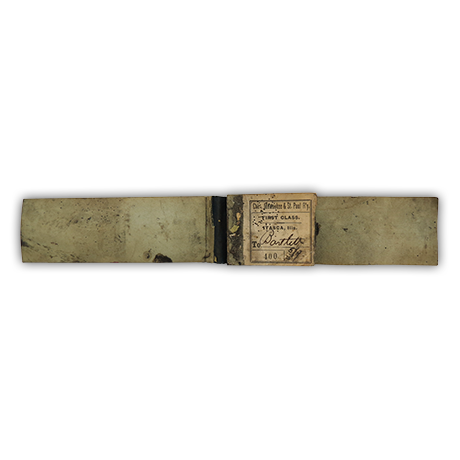 After reinforcing the fraying cloth on the spine, they housed the booklet in a custom-made, protective drop spine box. This plat book from 1923 had endured both liquid and insect damage before arriving in our lab. Covered in dirt, the book's binding was also failing and the linen tabs on the fore edge were falling off. 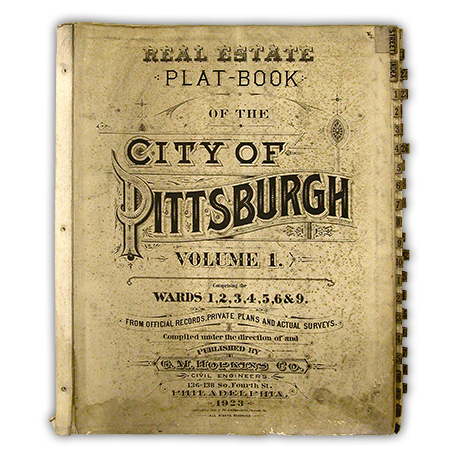 Our conservators thoroughly cleaned this item and removed the water stain from the bottom of the book. 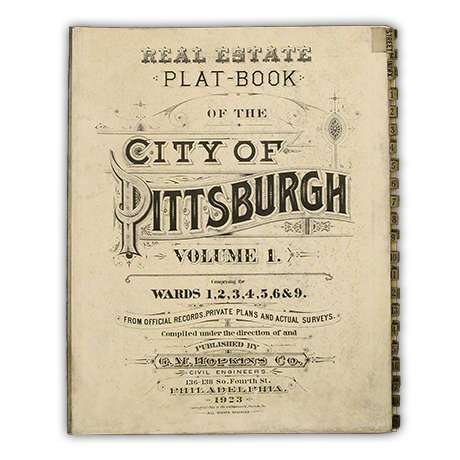 The tabs were then repaired and a new binding was made for the book. 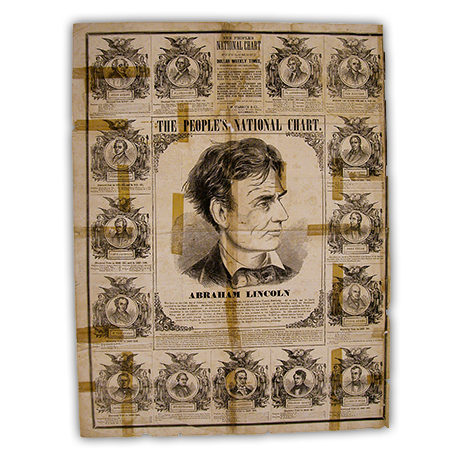 Extensive folding of this newspaper print commemorating Abraham Lincoln’s nomination to the presidency had resulted in tears that were inadequately repaired with tape. After removing the tape and diminishing the appearance of the adhesive and liquid damage stains, our conservators filled and inpainted the areas of paper that had been lost over the years. This handwritten letter with envelope arrived in our lab extremely soiled with dirt, stains, and possibly soot from fire damage. 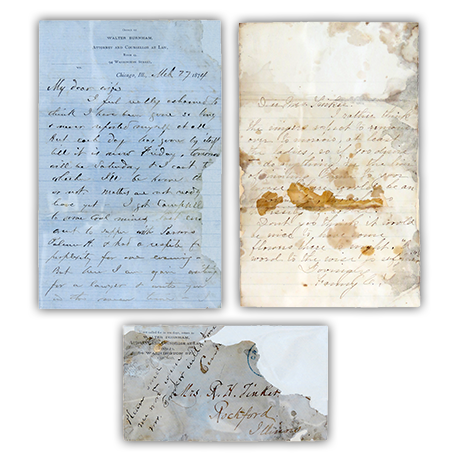 Very fragile and brittle, the letter required extensive cleaning and tear repair. 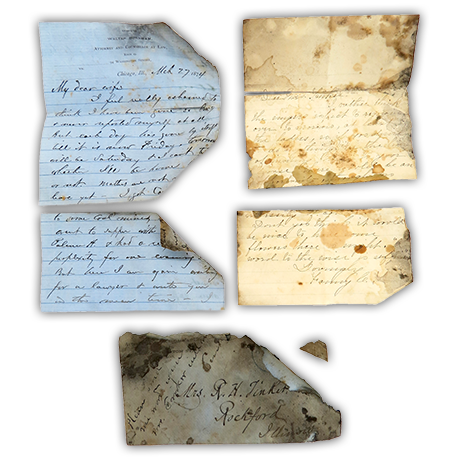 Once repaired and flattened, our conservators encapsulated the letter in mylar to protect and preserve it. 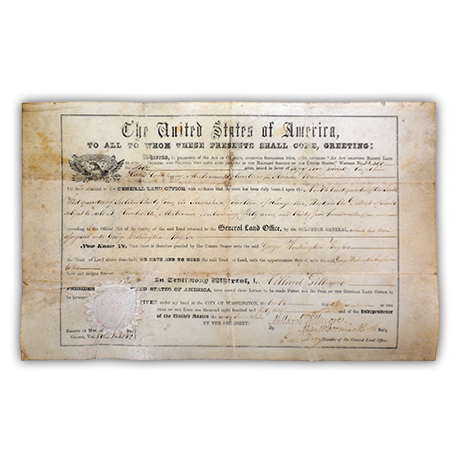 This federal land grant from 1852 was made on vellum. 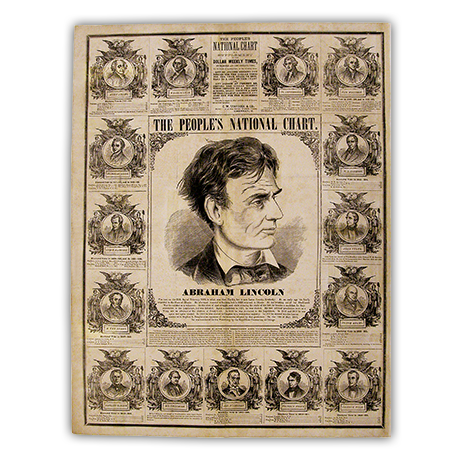 It had developed several hard creases from being folded over the years. 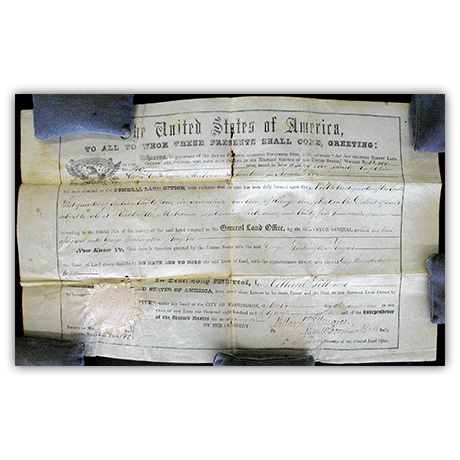 Worn and torn along the creases, the document also had multiple blotchy stains. 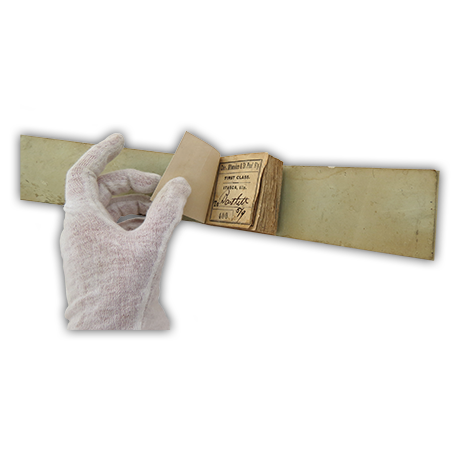 To flatten it and treat the inks on the surface, our conservators humidified the document. Cleaning and tear repair were also important parts of this item’s treatment.